According to a new study, roughly 1 in 4 workers have saved almost nothing for retirement, putting their non-working years in jeopardy. 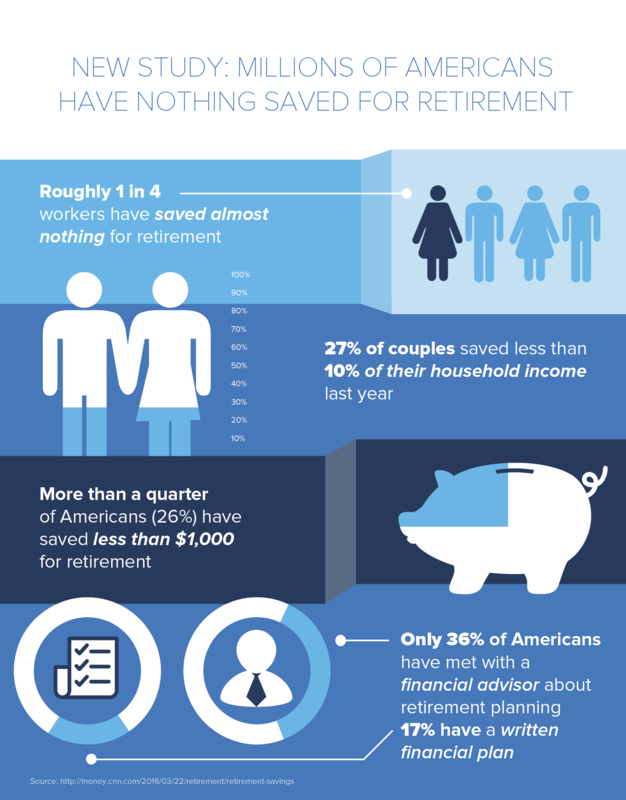 More than a quarter of Americans—26 percent—have saved less than $1,000 for retirement. Another 16 percent say they’ve only saved somewhere between $1,000 and $10,000. That’s dramatically less than what many experts would advise. While nest egg needs vary, a general rule of thumb is that most workers will need savings of 10 to 12 times their current income to retire comfortably. Many advisers recommend aiming for a nest egg of $1 million. Young workers with little saved right now will presumably have some time to catch up, but they’ll miss out on years of compounding benefits. Older workers will have less time to save and, experts say, may be tempted by risky investments promising unrealistic returns. They’ll likely need to rely almost entirely on Social Security for income. What helps Americans save for retirement? The study found that participation in retirement plans makes a big difference. Among those with an employer-sponsored retirement plan or an individual retirement account, just 10 percent had saved less than $1,000. Among those without a plan, 67 percent had less than $1,000 in savings. The study also found that formal planning can boost retirement confidence among retirees. However, the study found that few Americans have met with a financial adviser about retirement planning (36 percent), calculated how much they would need for retirement health expenses (27 percent), or prepared a formal, written financial plan for retirement (17 percent).